On Christmas morning, a web is created for kids to have fun finding their special gift within the house. So every year kids will not only look forward to opening gifts, but also anxiously await finding their special gift at the end of the Christmas Web. Every holiday season, families devote weeks and even months to planning Christmas morning. A yearly highlight for millions of children all over the world, a great deal of time and energy is committed to making the holiday special. However with all the effort that goes into the preparation of this annual occasion, unwrapping and exchanging gifts takes maybe 15 minutes and then it's abruptly over. Why not extend the Christmas morning experience and start a new family tradition? Christmas Web was developed to create a more entertaining and exciting Christmas morning experience for kids and big kids at heart. 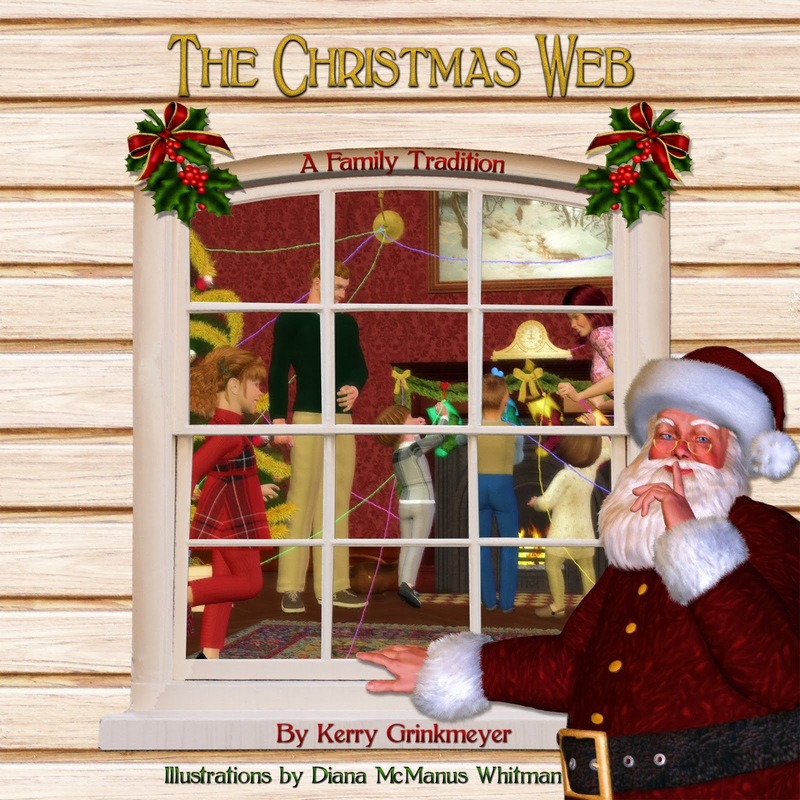 Similar to that observant elf that watches children from a shelf, Christmas Web contains a storybook that tells a Christmas tale about how the Christmas Web came to be. The story describes how elves look over kids throughout the year and learn of their desired special holiday gifts. Three spools of yarn (magic wands) are also provided with the gift set. The yarn is used by the elves (parents) who create a web throughout the house - around window latches, door knobs, chairs and doors and end in a closet or cabinet which hold the special gifts from the elves (mom or dad). The Christmas Web is the perfect way to begin a new, interactive family holiday tradition and make Christmas Day that much more special. Priced at $39.99, this timeless product can be used for many years to come and passed down through generations. I love the idea of having to search for their gifts and follow a fun web. 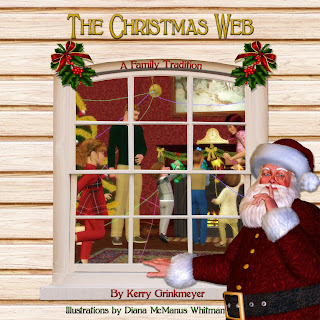 I already read my kids the book that explains the story behind The Christmas Web and they were mesmerized and in awe and asking all kinds of questions about it. They are definitely excited about the prospect of waking up to this web of wonder throughout their house. The story talks about how Elves watch the kids throughout the year so they know what they want for Christmas. I tied this into the Elf on the Shelf because we started that last year and they were asking if it's the same elf. It can get tricky but fun to combine traditions together! The book is wonderfully written and magically illustrated and my kids are so excited about it that they keep asking me to read it. I read with my kids every day and so far it's been requested every day for the past month. 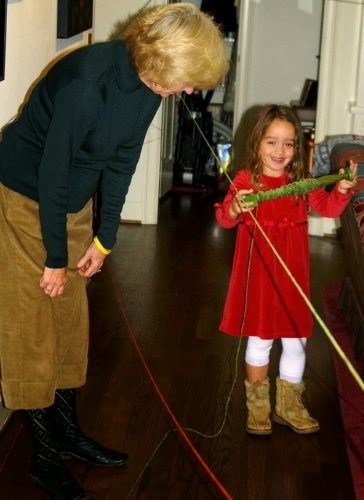 The Christmas Web is a truly unique holiday tradition that we look forward to starting this year and enjoying through the generations just like the Grinkmeyer family has! 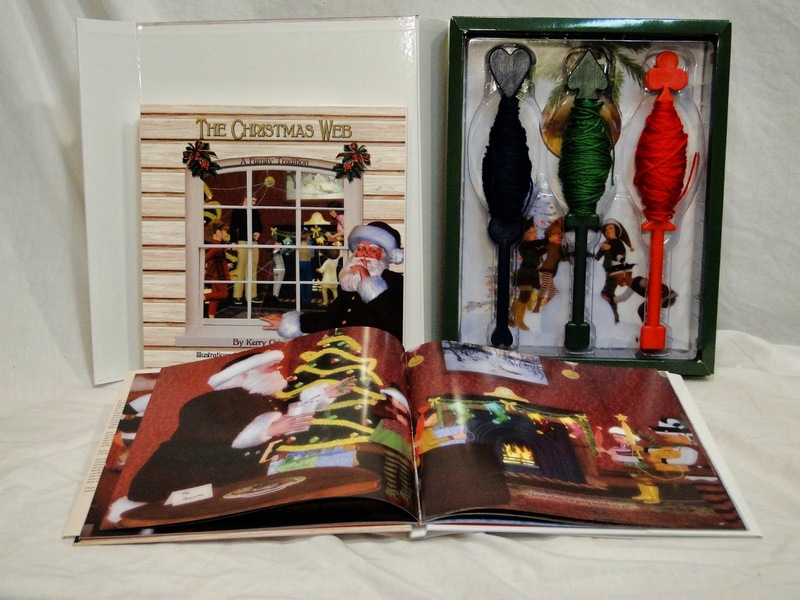 The Christmas Web gift set! 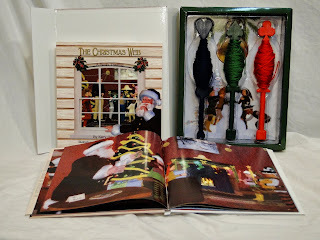 The gift set consists of a 54 page beautifully illustrated children's book and three magic wands each with 70 yards of colorful yarn. When the children awake Christmas morning they find a “Web of Christmas Cheer” woven throughout the house. It starts at their Christmas stocking and ends at their special gift that has been hidden by Santa and their elf so that no one else can find it. disclosure~ I received a FREE copy of the Christmas web in order to post this review and giveaway. This would be an amzing new thing to do... We always just bust the presents open but this sounds a little more fun!!! Oh what fun! We do not really have any Christmas traditions. It would be great to start one. I think thi is an awesome way to add more fun and excitement! It would be great because we could do this together as a family. We are always looking for fun and new traditions for our house. I think my daughter would really enjoy this! My youngest is now 17, but this would be a fun idea anyway. We go to my brothers first and then the kids and grandkids come over here to open the rest of the gifts from me. Wouldn't it be fun to have this set up ahead of time? This would be fun to look forward to on Christmas morning! That sounds like a great new tradition! Would love to give this to my daughter for the grandbabies! I have 3 young children, ages 6, 4, and 16 months. Besides the elf on the shelf that we started last year, it would be really great to start a new Christmas tradition. We live in TN, and no other family or friends live near us. We moved here a few years ago, and we would like to start some new traditions that our children will in turn, share with their children. We dont have any chrismas traditions. The kids will love this. This would be a neat addition to opening gifts because it would give me time to grab the camera and it would take longer to open the gifts. This would be a great tradition for our family. This would bring enjoyment to all of us, I really like it. I'd like to give this to my mil, she'd have an absolute blast doing this, and my little ones and my sil's little ones would so love it! I think this would be something new and fun for our family to do! We are always hoping to start new family traditions now that we have more family members! Everyone loves a treasure hunt and if I don't win, I have some unused yarn that I can do this with. This sounds like such a fun and unique new holiday tradition!